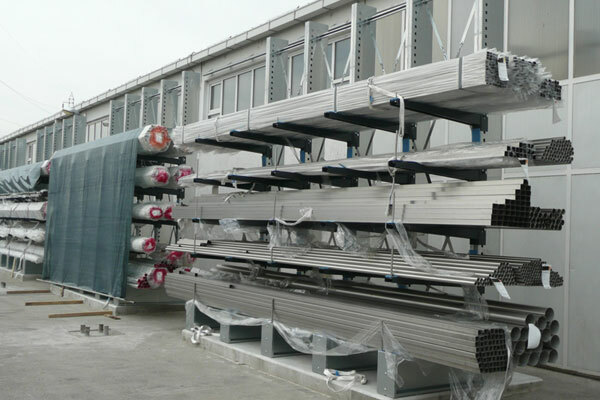 Cantilever rack is a very efficient means of storing material. 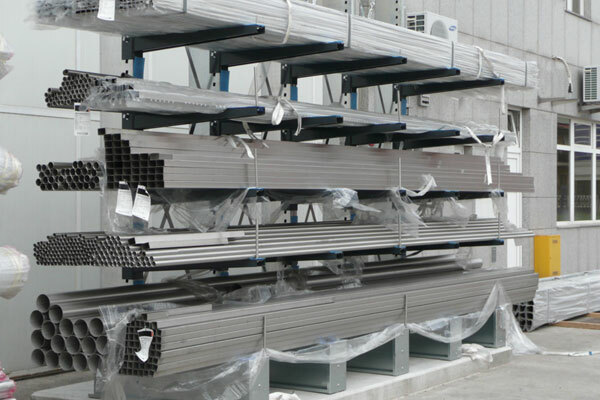 The storage density with cantilever rack can be very high if you plan out how you will use it efficiently, but generally cantilever rack’s flexibility makes it a very popular storage solution with near immediate return on investment.Cantilever Rack, also known as furniture or pipe rack is a great solution for storage of long, bulky materials such as lumber and PVC or metal pipes. 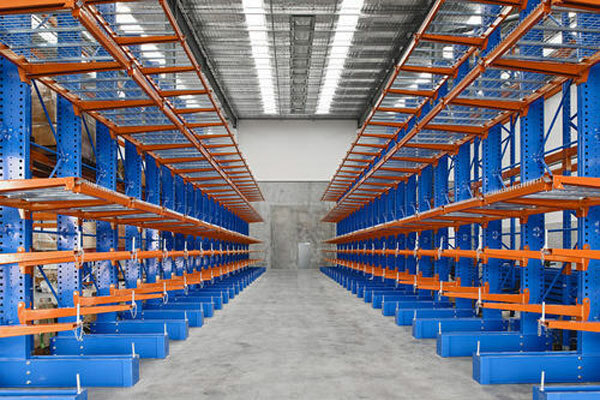 Furniture rack is a style of cantilever racking that can be decked to provide static storage similar to pallet racking, with the advantage that it provides easier storage and retreival of bulky or oddly sized material than traditional pallet rack. 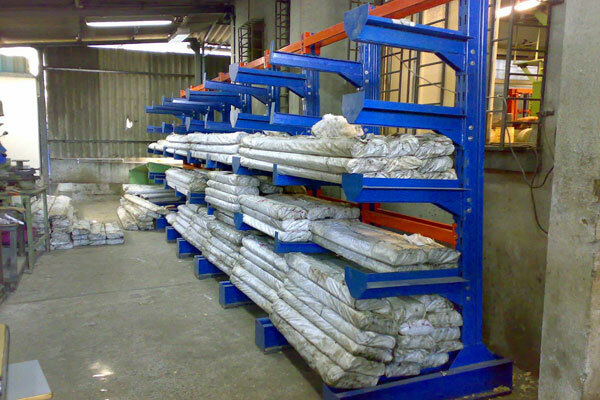 Uprights are available in single, or double sided configurations – with the only difference between the two being that with double sided uprights, you can store material on both sides of the rack. 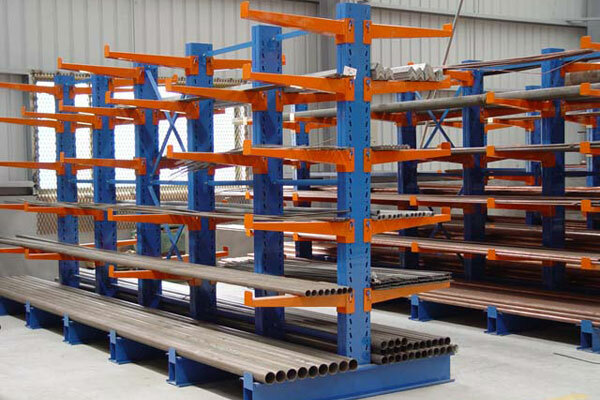 Like pallet rack, there are many different makes and brands that do not all work together. You must match the same make arm and base to build a complete unit. 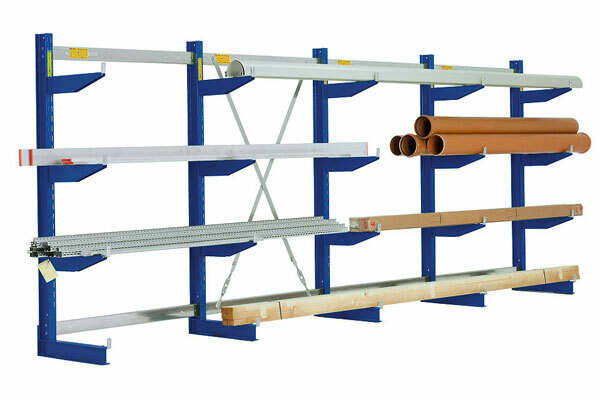 Please Be Aware – NEVER put arms on the back side of single sided cantilever rack. Even if the upright has holes to hold arms on both sides, this is a very dangerous practice and should be avioded at all costs. 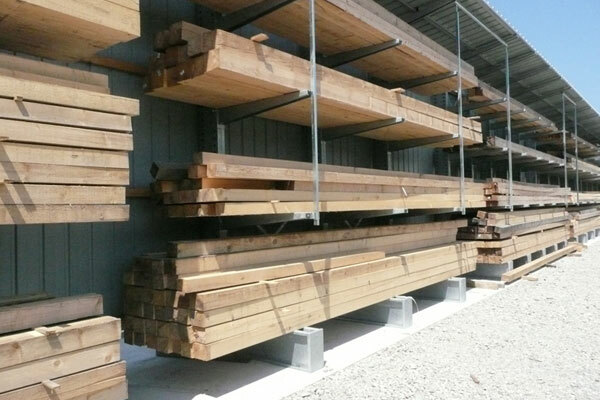 Like pallet rack, cantilever has specific components that work together to create larger bays and rows of storage. 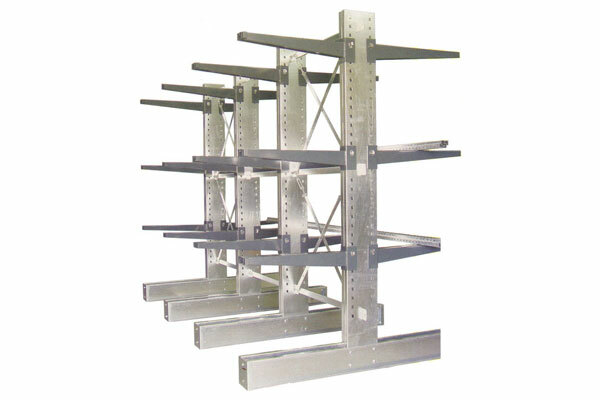 Uprights are the main structural components in any cantilever rack installation. Uprights work with bases (when referring to uprights here, we are speaking about complete upright/base combinations) to create the ‘backbone’ of the rack.